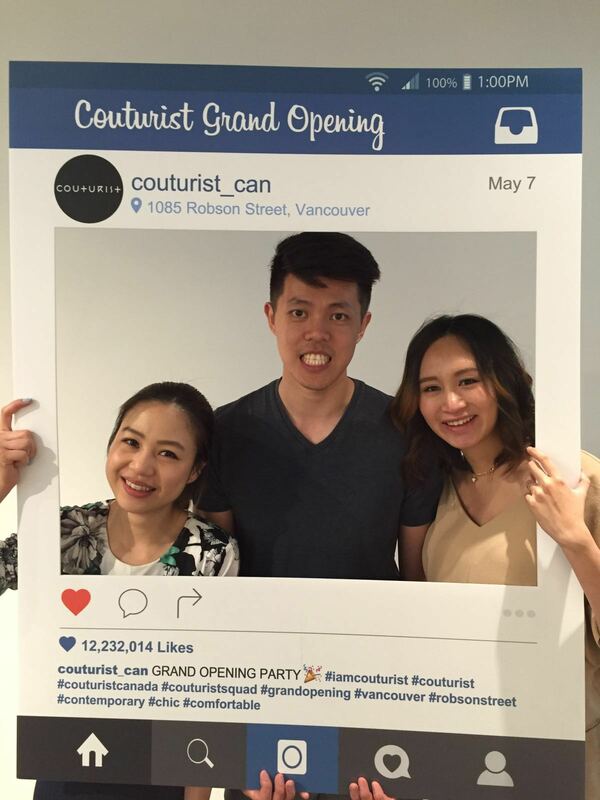 Saturday, May 7th was a gorgeous sunny day where fashionistas, media, photographers, and bloggers showed up to pack the Grand Opening Party at Couturist on 1085 Robson Street. 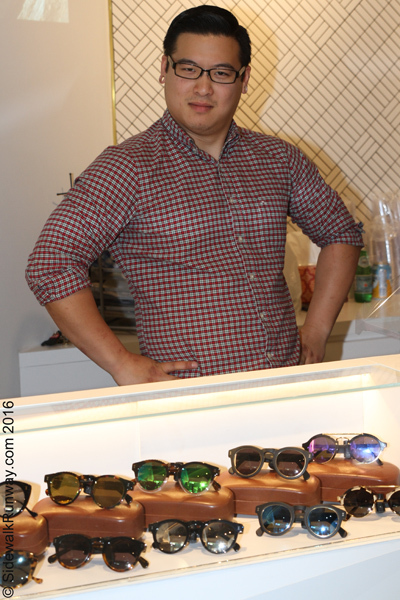 The store is between Burrard Street and Thurlow Street, on the golden shopping strip where foot traffic is constant. As we approached the store front, we were drawn in by a cute floral romper displayed and several eye-catching sunglasses in their window. 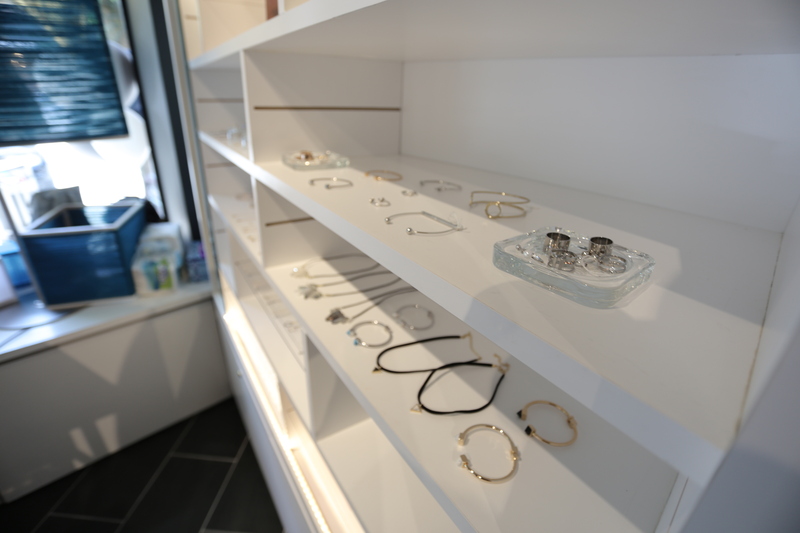 A couple of steps into the boutique store, we saw the consistent flow of modern yet minimalist style throughout their interior design. 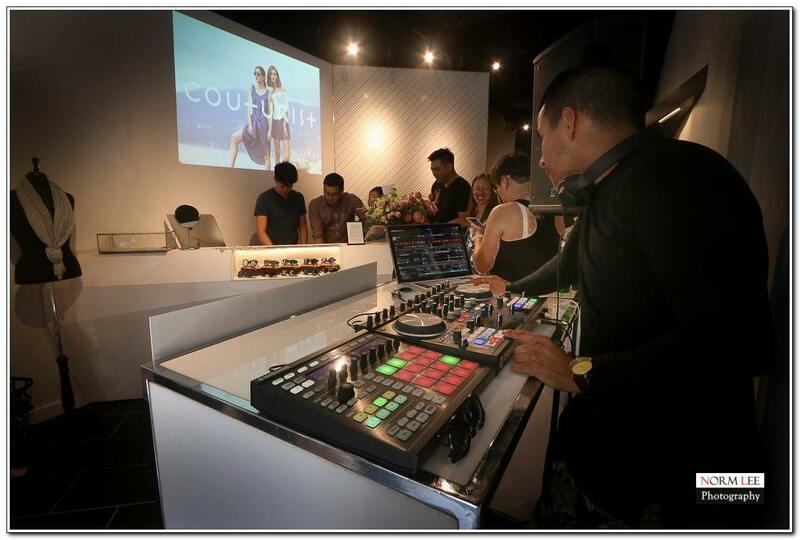 While DJ Eddie Rolando was entertaining the crowd with amazing mixes of pop and house music, we were able to steal some time with the owners of Couturist for a private interview. Alice: When did you start this business? 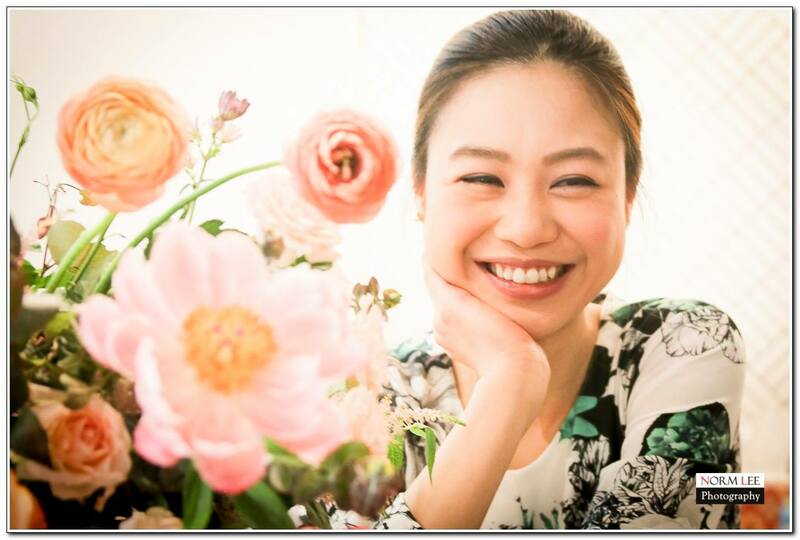 Vicky: We launched our e-boutique on Dec 23, 2014 and did pop-up shops in different neighbourhoods before we opened this store. Alice: What was the inspiration for you three to start this business? Riko: Vicky and I worked together as managers in 2012 and built up a fashion retailer from scratch. We worked 12 hours a day in the first month. We also stayed overnight multiple times only to come back to work within 3 hours. From managing daily operations, hiring and training staff and merchandising products, we successfully opened and operated a brand new store. From this shared experience, we believe our skills and abilities can be used to their fullest potential if we were to start our very own business. Alice: What is your education? Riko: Daniel and I graduated with an Economics degree from UBC. 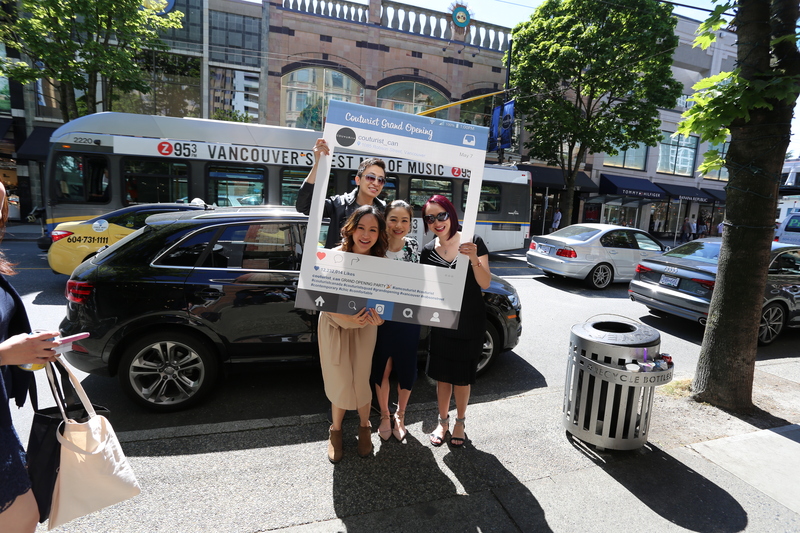 Vicky: I graduated with Marketing Management from Kwantlen Polytechnic University. Alice: What is unique about Couturist as a brand? - Styles that are different from what Vancouver has to offer. - Contemporary, not just minimalist, things you can mix and match with existing wardrobe. - Jewelry is mostly handmade in the U.S. Quality is 14K gold plated or sterling silver. - We love to carry brands that give back to society, for example the L.A based company Half United, who are famous for recycled bullet casing earrings, bracelets, and graphic shirts. 50% their proceeds go to fight hunger for third world children. Another brand Marigold Collective, a Vancouver based business, making hand dyed scarves in cotton, silk and linen, and that uses fair-trade labour empowering women in Vietnam with work so they may support their families. Alice: How many brands do you carry? Vicky: We carry 16 brands representing the U.K, USA, Australia and local designers. Alice: Do you have any products under your own brand? Riko: Yes, we carry jewelry under our brand. As for our clothing line, it is currently under development. Alice: What is the age range of women your service with your clothes? Alice: What is your company culture or belief system? Alice: Could you please define it for me? Since everyone has their own interpretation of the meaning of words? Contemporary: Very simplistic, minimalist, modern, urban. Chic: Unique designs and cutting. Neutral colours and structural, geometric shapes. Pops of colours and abstract prints are a part of the aesthetic too. Usage of such designs express our personality. Comfortable: Quality of material and design, the customer will feel comfortable wearing the garment. Alice: Could you please describe the personality or characteristics of your customers? Vicky: Fashionistas who are comfortable with setting themselves apart from the crowd by being adventurous, experimental, and confident. Alice: What have they said about your store? Alice: What are you guys hoping to achieve in the long run? Let's say in five-ten years? Riko: We strongly believe in giving back to society and supporting local businesses and designers so these are on-going projects. In five years we aim to have multiple stores, expanding to the rest of North America. We will also have clothing collections for men and women along with our jewelry line. Alice: What is the meaning of your logo? Riko: Our logo is based on the shape of triangles and since we are a team of three, we feel like the shape best represents us. Also, a triangle is the most stable shape in math. Alice: Right now, everyone is talking about slow fashion, what are your thoughts on it? Riko: We need to keep up-to-date but at the same time we want to ensure quality. We want to be a stable part of your wardrobe. Alice: Please share with our readers your thoughts on fashion? Riko: be comfortable in what you're wearing, fashion reflects your personality, stay authentic in expressing yourself. Fashion can fuel your confidence. Every girl wants to look good. You want to look more confident. Having one thing that pops in your whole outfit – a colour, a texture, or a piece of jewelry, can attract people's eye. Alice: Did you always want to be a fashion designer when you were little? Riko: YES, I wanted to be a fashion designer when I was little, then an architect. When I see the many designs in magazines, I get really excited, but we don't have the selection in Vancouver. In Couturist, my focus is on the business side. We love our products; we choose every single piece with love. Vicky: I always wanted to be in the fashion industry and specifically a fashion designer. Visual merchandising and product purchasing are also what I am extremely passionate about too. 1) pick the style that suits you, I discover a new me each year, it's an ongoing evolution. For example, I like comfy stuff, I can wear it every day. I also like cutout dresses, maxi floral skirts are very chic and romantic, and I’m excited to get it. 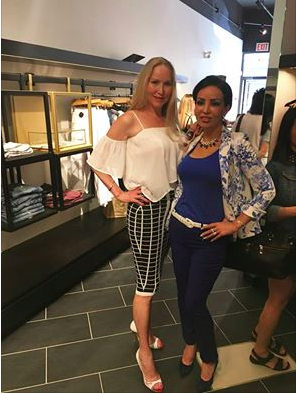 Vicky and I both love buying, thinking about new trends and how to mix and match. 2) Have to be comfortable, be proud. 2) Minimal makeup with simply lipstick and mascara. 3) Wear mostly boots and flats since I’m constantly on my feet. Alice: How long was the process to open this store? Vicky: One year planning before we had the online store, One year after the online store we officially opened. We had this location for our Pop Up shop in December 2015 and had a lot of success so it gave us the confidence to sign the lease. We're very lucky to find this location that has constant traffic, and it's next to many other well-known brands. Alice: If I was a poor student with only a $100 budget, could I buy a whole outfit here? Vicky: For sure, a T-shirt, which comes in colour options, is around the $20-30 range. Add a pair of jean shorts, which is within $60, would make a cute and casual outfit that is under $100. Alice: What is the most expensive item in your whole store? Vicky: Stella & Jamie is a designer brand based in L.A. We carry a beautifully crafted black and white Jumpsuit that has mesh detail in front, cropped, wide-leg pant leg and criss-cross straps on the back. Alice: What is the number of staff who work here? Riko: Vicky and I are both full time here, my husband Daniel, the other owner of the store works here part time, and we're in the process of hiring another part-time retail staff. Everyone was excited to see the contemporary store with chic styles and comfortable clothing, all were eager to try on new outfits. 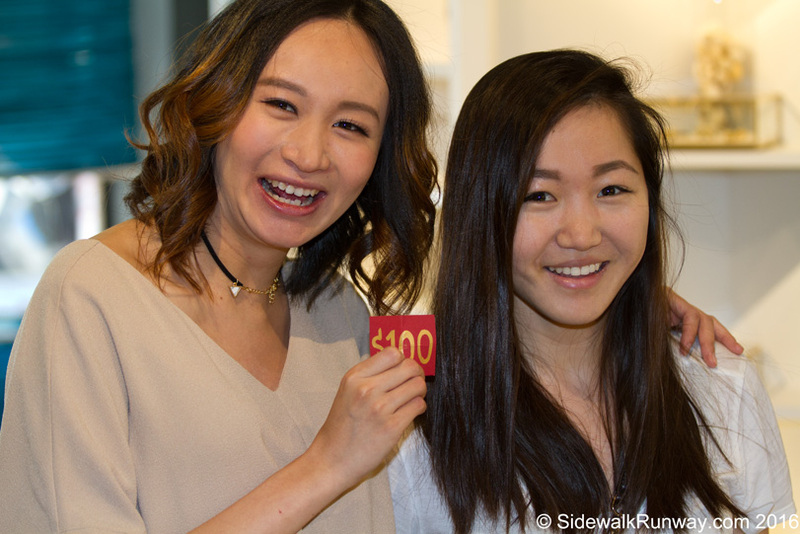 For the event, Couturist offered lucky draws for every customer and one lucky young lady won a $100 gift card which brought a thunderous cheer from everyone at the store! The guests were treated to such as croissants, brownies and coconut macarons. Prosecco, and a variety of wines were provided for our guests’ pleasure. Red wine was sponsored by Winestains Club. Bouquets after bouquets of flowers poured in from friends of the owners, to congratulate their grand opening. Riko looked stunning in a crème jumper and matching cream ankle boots welcoming everyone with a huge smile and hug. On the other hand, Vicky looked polished and chic in a green floral long sleeve crop top paired with a knitted navy skirt. Their perfect makeup and hair was done by Jill Liu, a good friend Vicky’s. The Couturist also had five additional staff staffers helping out, some acted as greeters handing out snacks and informing the passers-by to join the party. Others served beverages and waited on ladies who were eager to shop. Everyone had a drink in their hands, and smiles on their faces; the atmosphere was one of excitement discussing the latest fashion trends, off the shoulder and the cool mirrored sunglasses with patterned frames. Daniel concludes: “our Grand Opening Party was a dream come true! It would not have been possible without the help of our beloved friends and family. 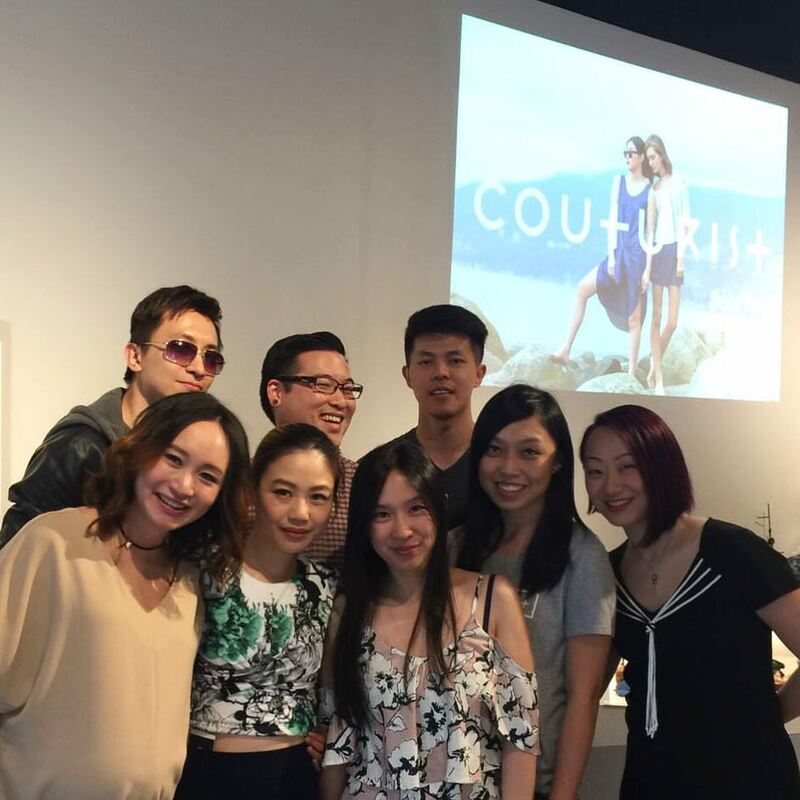 Couturist is honoured to owe this success to our wonderful guests of that day. Their love and support for us was more than we could ask for. The Grand Opening Party was definitely a memorable one and we all had a blast! 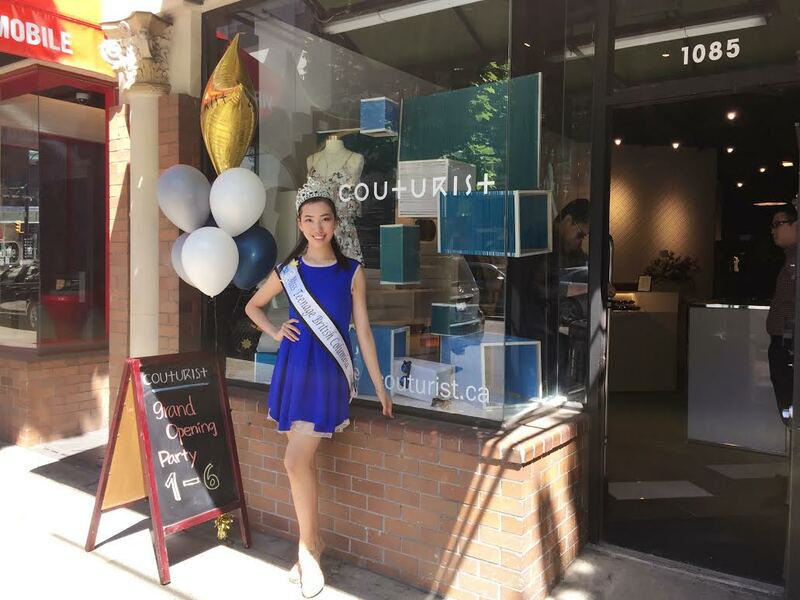 We strongly recommend you come check out this amazing boutique called Couturist on 1085 Robson St. or online at www.couturist.ca! Photo courtesy of Ric Allen from www.sidewalkrunway.com, Norm Lee and Peter, friend of the owners of Couturist. 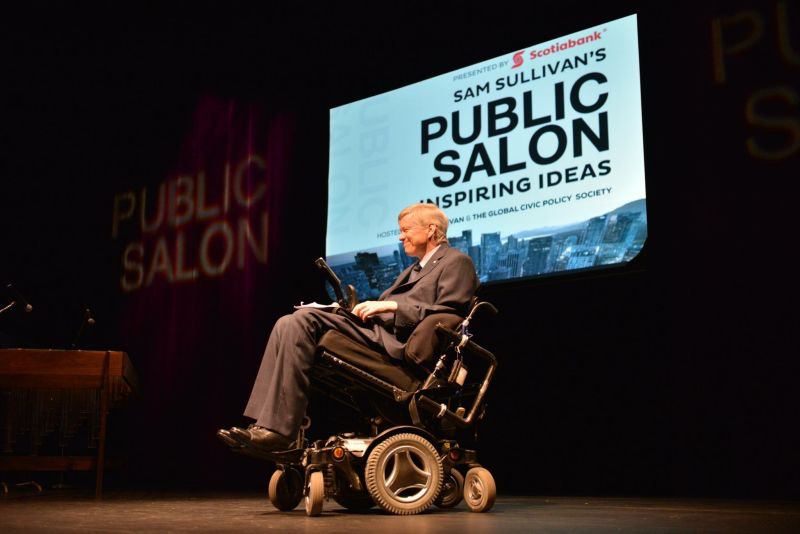 The 25th edition of Sam Sullivan and Lynn Zanatta's Public Salon inspired by their friend the late Professor Abraham Rogatnick which started with an extra dose of sunshine, brought out some really special presentations that many proclaimed on twitter as #brainfood. The pre-talk VIP gathering had delicious appetizers generously sponsored by Peake of Catering, provided a rubbing of shoulders of all the sponsors, speakers and anyone else who could pay the $100 ticket. Before the speakers came on, a trio of culturally diverse musicians were playing seamlessly on stage. 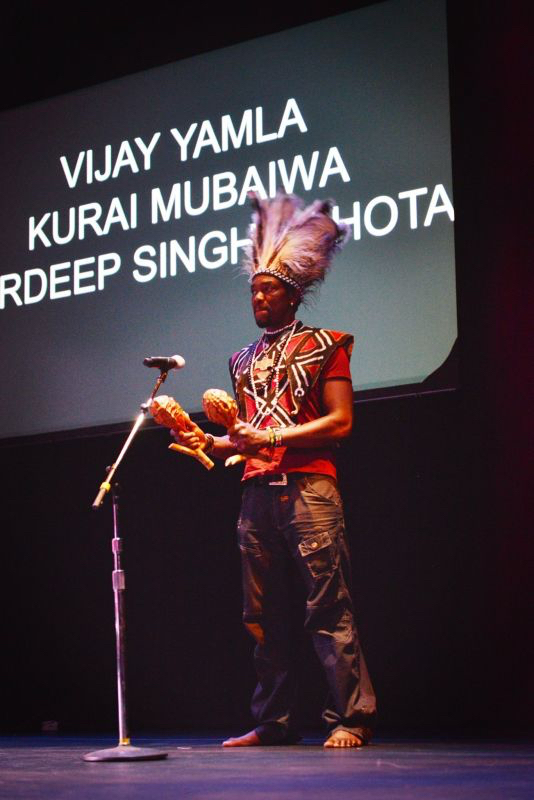 Two East Indian musicians Vijay Yamla and Harkomal Singh Chahal along with Kurai Blessing Mubaiwan from Zimbabwe produced soothing electric global fusion sounds/music setting the tune for the diverse voices yet to share the stage with them. 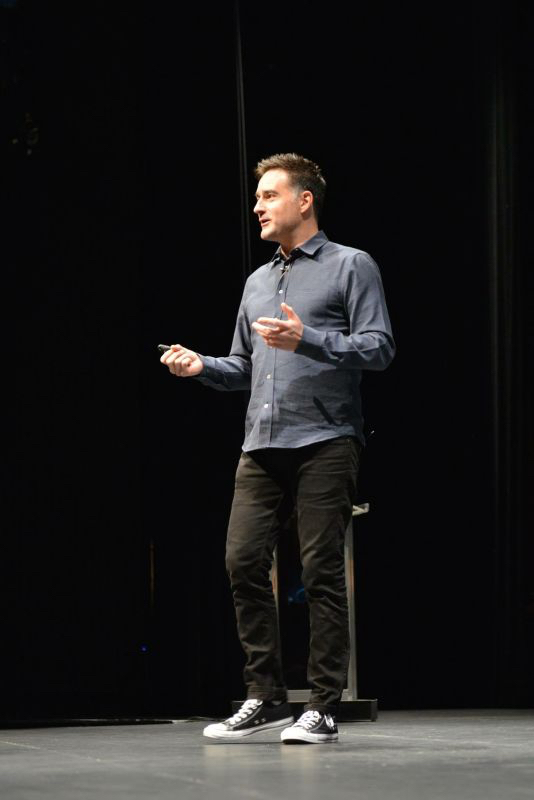 Our first speaker was none other than the famous founder of 1 800 Got Junk, Brian Scudamore a fourty something youthful looking man in a blue button down shirt with dark jeans and converse sneakers. He jokingly started his speech saying he had vision early on by showing a picture that his grandmother saved that he drew at age four with him cleaning up the house with a rake. This of course became his business. The second picture Brian showed us was a Province newspaper with a front cover story of him at age eighteen with his first junk removal truck. He talked about how he surrounded himself with amazing people who encouraged him to dream big and dream big they did, getting on the Oprah Winfrey show, having 10,000 shiny trucks all over North America, expanding into other countries, and even getting the 1800 Got Junk logo on five million+ plus Starbuck coffee cups. They even have a dream chalk board at 1 800 Got Junk titled “WHAT IF...” and many of them listed have now come true. He even shared a story from his personal life about the end of his first long term relationship. After eighteen years together, having brought a daughter into this world, it just wasn't working anymore. Brian wanting to have a loving family like relationship with his ex and to be amazing co-parents to their child. At first, his friends laughed at his vision, but it became true, his ex even introduced him to his current wife. My gut reaction listening to his story was the same reaction when I watched the movie “The Secret”. There is nothing wrong with what he said, but it seemed to be overly simplistic, the think it and it'll come true. Brian indicated that he put so much of his effort in into his business; his personal life was in crisis. I don't believe moving onto the next woman will suddenly improve his personal relationships. Unless he finds balance and gives attention to his loved ones, those relationships and marriage will dissolve in time. I don't know why finding the love of their life and getting married always gets everyone in the audience to go AWWW and clap. Marriage is a life long journey, not one day event. I have seen Brian Scudamore toted as the keynote speaker for SOHO conference for two years in a roll, so I was expecting a speech with more depth. I guess it's hard to have depth with only seven minutes on the clock. A graceful, professional lady Minelle Mahtani walked onto the stage and launched immediately into her story of how she began her journalism career. She met a fellow Canadian and through small talk, discovered he just happened to be the Foreign Correspondence Director of CBC in London when she was a scared, homesick Ph. D student. The fearlessness of youth in her blurted out “I would love to work for the CBC”, which landed her a site visit and much more. Her mixed racial heritage brings interesting reactions in people wherever she goes, and so she encourages citizenship, something that is crucial at RoundHouse Community Radio, where she hosts a morning show “Sense of Place” on 98.3 FM. Citizenship for her is more than a passport, or drinking craft beer watching hockey. It means taking action to get to know your neighbours, and getting get involved in community be it a garden, giving input, or volunteering. 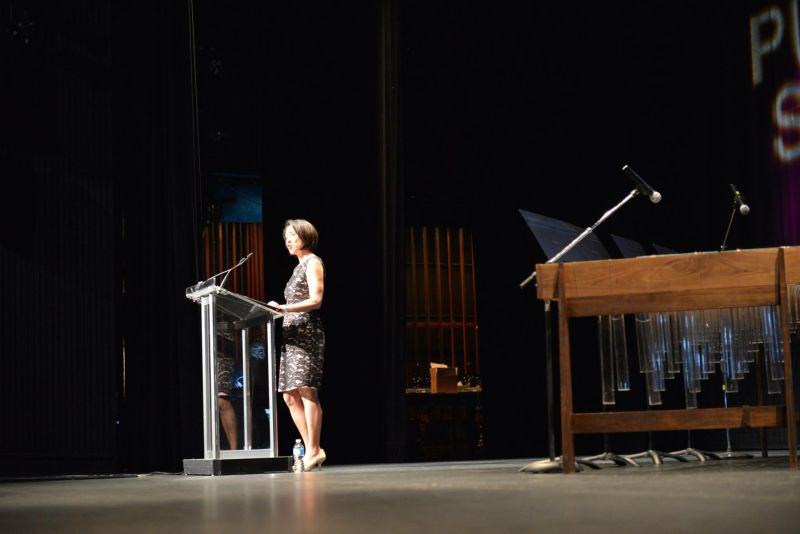 This exciting talk was followed by a quirky and funny female composer name Jocelyn Morlock who is a Juno nominated composer with the Vancouver Symphony Orchestra. , She is also the inventor of the Lumiphone and explains and demonstrates that the piano only has 13 tones, whereas the Lumiphone has 26 tones. Jocelyn shares that the process of music composition is a lot of experimentation, and can lead her to interesting collaborations. She showed one slide of a performance where there are a variety of large glass bowls with different levels of water with marbles. They had to throw the marbles at different speeds to create different sounds, but the musicians had to have accuracy or else they'd lose their the marbles, which got a huge laugh from the audience. 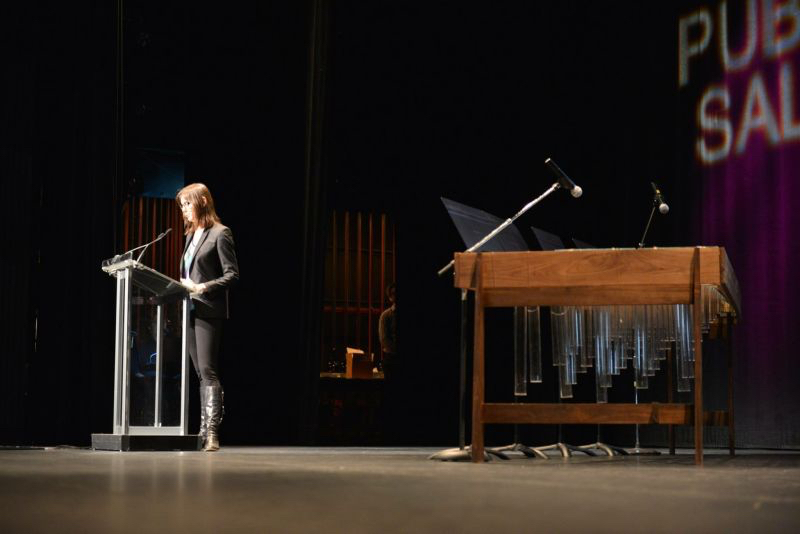 Her speech was followed by a delightful and ethereal performance by Brian Nesselroad and Colin Van de Reep on this truly unique musical instrument called a Lumiphone which looked like a rectangular wooden box with a bunch of glass tubes hanging down from it. 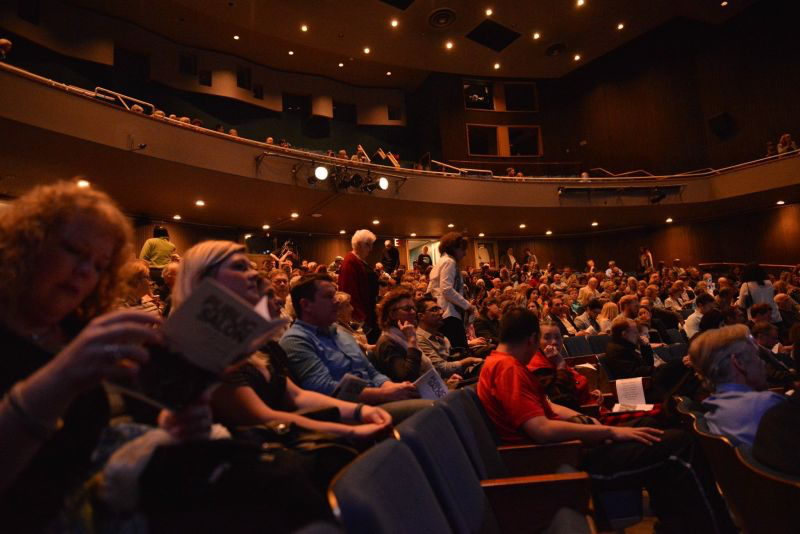 The crowd gave their performance a thunderous applause. Mark Winston, a scientist at UBC and a specialist on bees walked up next. He talked about how social and intelligent the bees are and how they really work together for the whole hive to thrive, something we humans can learn. I learned that bees also have emotion and can get sad from Mark's speech. After we learned about the bees, a silvery haired lady with a streak of lilac highlights and glasses came to the stage. She started the Rainbow Refugee organization in 1989 when she sponsored her partner Bridget from Chile. It is an organization that provides support and relief for the LGBT community in countries where their identity could lead to severe punishment from the government, and murder from their fellow citizens. Chris Morrissey showed a world map where large swaths of the map are in red which are countries that do not tolerate LGBT people. I thought it was only Russia. it It was most Muslim countries, including Malaysia which was a shock to me. She showed a photo of a lesbian couple being dragged away by Russian police after one of the women defended herself from an assault by a gang of men. The men went to jail but was were released after only two hours. It was a startling fact to learn that the protectors in society often are the enforcers or accomplices of the perpetrators of harm and violence. The two women had to leave their hometown that night for fear of their lives. Chris also shed light on the challenges the Syrian and Pakistani LGBT refugees face during their travels. They often have to hide their sexual orientation to stay safe because they have to travel through countries that will prosecute them for their identity. Chris ended her story on a positive note saying that there is currently a group that's sponsoring a LGBT refugee to come to Canada, so she encourages us to donate to her cause because everyone knows the high cost of living in Vancouver. Mo Dhaliwal is a very stylish 30 something East Indian man born and raised in Canada dressed in a crisp cream coloured suit jacket over jeans with a giant intricate paisley patterned burgundy scarf wrapped around him. He looked like an exotic character from James Bond; someone who would say a witty one liner that would get everyone to laugh at a fancy party…. and surprise surprise, he certainly delivered on my first impression of him! He began his story with self-depreciating humour using a picture of him as a young man with bleached blonde hair, saying here was a bag of confusion which got everyone howling. 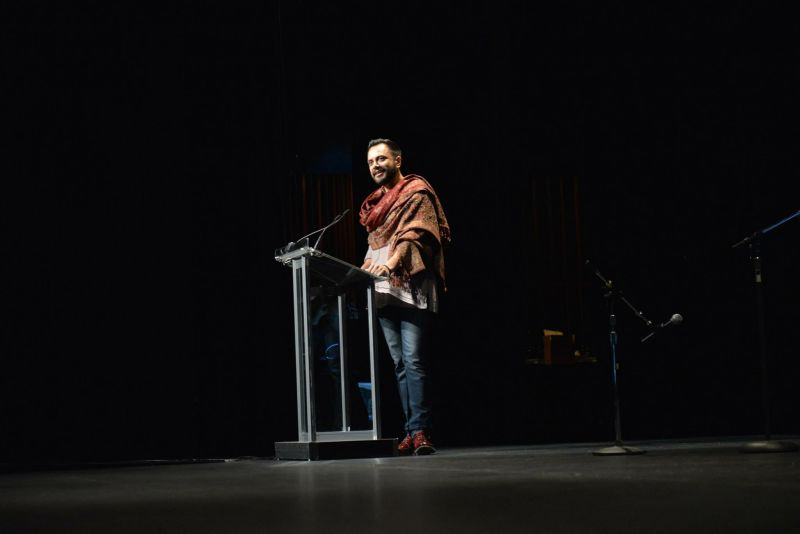 He shared his tale of making it big in Silicon Valley as a programmer, then coming came back to Vancouver and getting pretty involved in the Arts and Culture scene, even sitting on several boards and ultimately starting the Bhangra Festival that brings in eighty different dance troupes on an annual basis. He shared the pain of growing up, being made fun of as a brown child in an all-white neighbourhood, then moving to an all-brown neighbourhood which got him labelled as whitewashed. He challenges us to look past our skin colour as labels, and even give up using the word multiculturalism. He showed a very clean and tidy looking bento box picture on the slide, to illustrate Vancouver and how siloed our society has become, where each ethnic culture chooses a neighbourhood to congregate and live. Mo suggests that we must move beyond mildly tolerating each other and really get to know each other deeply, and let go of the labels we give each other and ourselves to reach the point of true self, which has no gender, no race, and no culture. 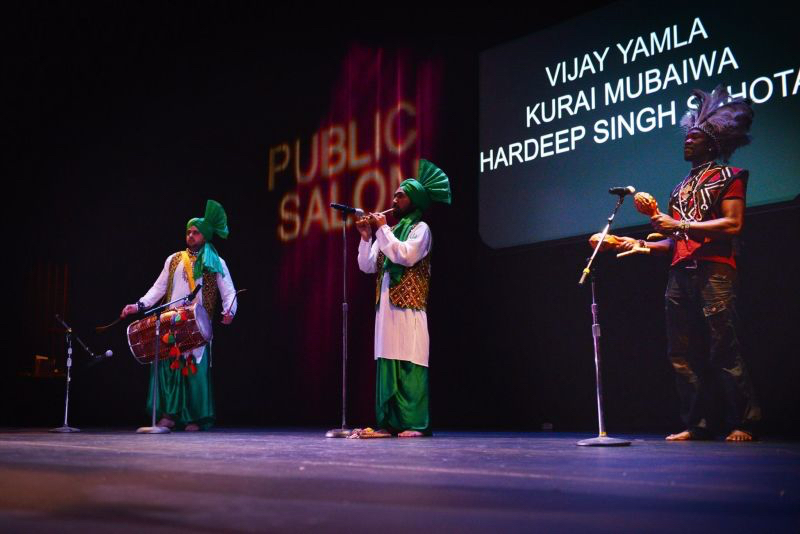 The crowd loved his speech, and thoroughly enjoyed the colourful and festive Bhangra performance by Hardeep Singh Sohota accompanied by live music produced by Vijay Yamla, Harkomal Singh Chahal and Kurai Blessing Mubaiwan. Eric Peterson, a self-made millionaire with a flair for environmental preservation and life-long pursuit of science, used his fortune to buy a resort on the remote Calvert Island, and turned it into the Hakai Institute in the middle of the Great Bear Rainforest. Eric is a really down to earth man who's about 6'2 wearing a long sleeved T-shirt and regular blue jeans and boots. The Hakai Institute collects data on all the animals, and uses the latest drones to take photos of water levels, number of wolves, salmon, and whales. Eric showed a photo the drone took of the island which the Hakai Institute is situated on, and it took all our breath away. It was nature at its best, with deep forest and the ocean all around. I can't imagine their scientists get depressed even in January. Eric is very serious about preservation, and he says collecting data is the first step to understanding the biosphere and how intricately they are all connected to come up with better solutions for preservation. The last presenter to come onto the stage is a skinny intellectual looking man in his early 40's name John Burns, who informed us quickly that he was a journalist and has been for the past 25 years, and has seen so many changes in that time, he could write a book. His jobs in journalism ranged from community sports editor at Burnaby Now, to managing editor of Georgia Straight, to editor in chief of the Vancouver Magazine. Now he works at Echo Storytelling Agency, a Vancouver based custom publishing company that documents the lives and accomplishments of individuals and companies through a range of products. John Burn being the veteran journalist sure knew how to tell stories that grabbed our attention and had photo slides that grabbed our eye balls too. The first picture he showed was a strange relic of journalistic equipment which put types together for newspapers that nobody in the audience recognized. Then he showed a picture of his educational certificate in typecast, followed by a picture of his first business card with all the information that doesn’t apply now such as a fax number. He then shows a picture of Mario Lopez with his kids at breakfast with Kellogg's cereal prominently displayed; a sponsored photo on Instagram. John points out the cause of death for traditional media was that it wasn't a fast enough turn around. People want their news, information, jokes, and celebrity gossip immediately and social media is providing that. He also explained that traditional media relies on advertising, now that advertisers could pay celebrities or powerful online influencers with millions of followers directly; it cut out the middle man which is the media. But one thing that is lacking in today's social media saturated world is that in this sea of stories, photos and videos, curation went out the window. John showed a cute picture of his poodle, then added a pie chart of where the advertising dollar is going nowadays which brought out much laughter from the audience. 50% is going to google, 14.1% is going to Facebook, The Toronto Star gets 3.3%, Post media gets 2.3%, Quebecor gets 2.2%, Power Corp gets 0.9%, The Globe & Mail gets 0.7%, Rogers gets 0.5%, and other gets 26% of our advertising dollar in Canada. 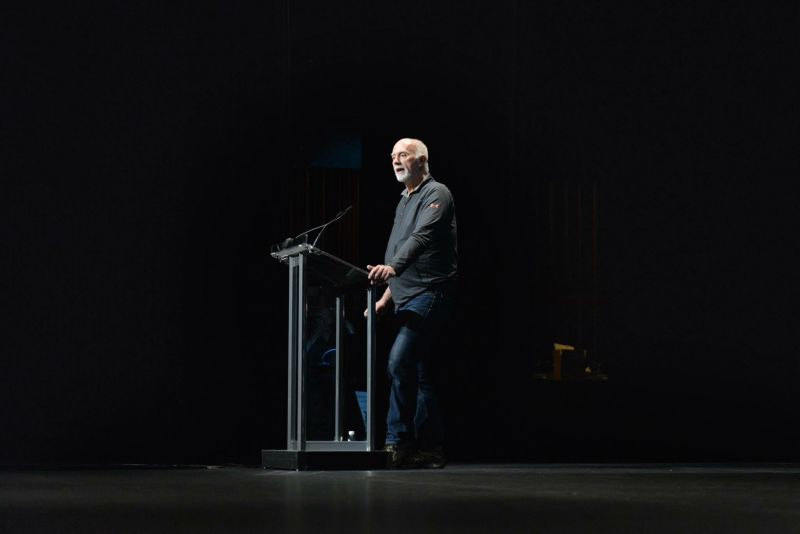 John left the stage with his life philosophy that it's better to tell stories to a small amount of people for a long time instead of telling stories to a large amount of people for a short time which everyone in the audience approvingly nodded and applauded to. Twitter was a buzz with everyone's excited reactions, quoting one liners from various speakers, and LOL moments such as the Vancouver bento box ethnic silo or the poodle pie chart John put up. Of course everyone loved the Lumiphone performance and how consistently these speakers make us think, question our existing belief system and expose us to new combinations of music, people and technology. 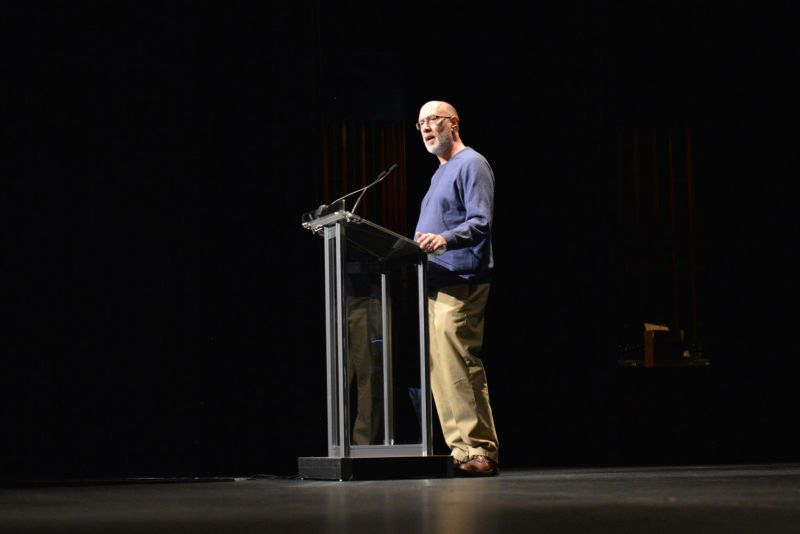 Sam good humouredly encouraged everyone to hug an anonymous person, because he/she is our gold sponsor, and without the sponsorship, the Public Salon wouldn't able to go on, which got the biggest laugh of the night. 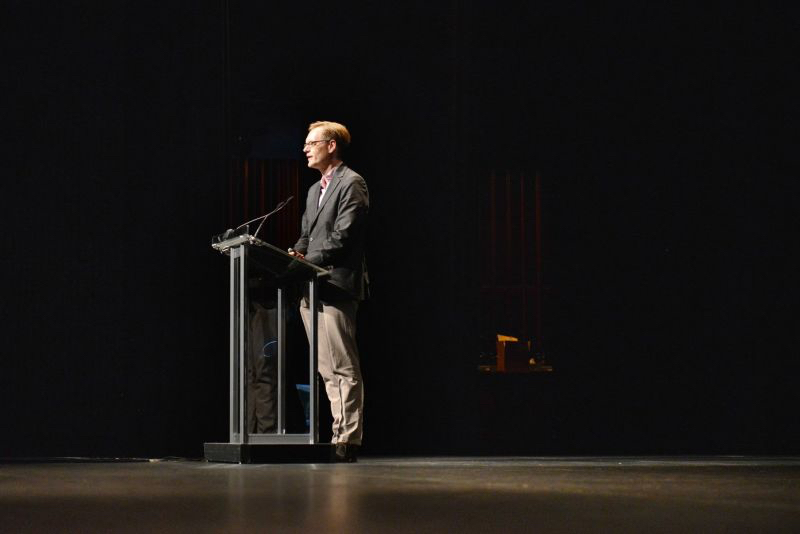 He also proudly tells us to check out their new site www.publicsalon.org to sign up for the Oct 13th Public Salon.